Practicing frugality is one of the ways that you can boost your savings. However, when taken to an extreme level, thriftiness can result to major financial setbacks and may even cause you to spend more money in the long run. When does frugality become a financial threat? Here are five warning signs that it has gone way overboard and is doing more harm than good. Do you think you’re always getting the best deals when you buy during sale season? Think again. Snagging an item for half the price can be a good thing if you need it to begin with. However, deciding to buy just because of the offered price deduction or just because you have a discount coupon can be financially harmful. Regardless if you bought an item for 80 percent less than the original price, it’s still not a wise move if there’s no need for it in the first place. Making smart buying decisions should be grounded on your needs, wants, and how much you have allotted for each type of purchase. Buying an item on sale should only be considered a bonus, not the main priority. If you spend hours clipping coupons or adjusting your budget to “cut down”, you are taking frugality to the extreme. If you’re so obsessed with finding ways on doing every single thing on the cheap or looking for ways to get stuff for free, you are actually wasting time that you can allot for other important things such as working or spending time with your loved ones. Spending too much time on trying to be thrifty may cause you to spend more, too. For instance, you chose to do home repairs on your own rather than hire a professional in order to save money. So you went to the hardware store and gather the tools you need. However, you realized that it’s a failed attempt and the outcome didn’t turn out the way it’s supposed to. Eventually, you ended up hiring someone to do the job. So apart from wasting hours on your DIY project, you also lost dollars on tools that you should never have brought had you decided to hire a professional from the beginning. Your time is worth so much more than you think. So don’t devote too much of it doing something that can be financially harmful in the long run. Another sign that frugality has gone overboard is when you choose to forego a doctor’s visit because you’re avoiding the fees and the expenses that come along with it. It can be tempting to skip a doctor’s check-up because you have a high deductible. However, it’s wrong to think that this is a good strategy to boost your savings. Remember, spotting a condition and treating it on the on-set is way better than finding out about it when it’s already in an advanced state. Quality of life is not only measured by how much money you have, but also by how much you’re enjoying life—and you can’t do that fully if you are in a sickbed. So invest in your health and make sure that you do the necessary steps to stay in good shape. Don’t hesitate to spend dollars on doctor’s visit and treatment. Experts always warn about buying too much insurance coverage that you don’t need. However, purchasing too little insurance coverage can also have its drawbacks and may result to huge out-of-pocket payments in the future. 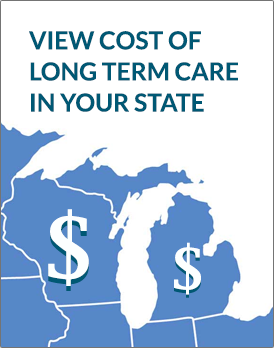 Let’s say you’re looking at purchasing long-term care insurance and you saw that inflation protection increases the cost of your policy. Since you’re in a budget, you decide to drop this feature in order to reduce your premiums. However, this move may not work in your best interest, especially if you’re still young and years away from making a claim. Inflation protection keeps your insurance benefits leveled with the changes in the cost of care services. This means what this feature grows your insurance benefits so that they will stay sufficient to cover your care expenses even if cost of care increases over the years. Shopping around is essential when purchasing insurance policies as this allows you to look at different offers and rates available in the market. As you go through this process, keep in mind that the policy with the cheapest price is not necessarily the best. Ultimately, deciding on the right amount of insurance coverage to purchase is about knowing your needs, what risks you want to cover, and how much of your assets you want to protect. Money should not only be spent on needs, it should also be spent on things and activities that you want. If you feel bad about spending on an occasional treat for yourself or enriching activities such as travelling or vacation tours, then you are being too frugal. Don’t miss out on life’s beautiful experiences. Spend a few hundred dollars, go out there and see the other parts of the world. Travel to see family and friends or attend a loved one’s milestone such as a wedding or graduation. Make sure that you allot money for enjoyment in your budget. Being frugal is not about depriving yourself of life’s pleasures. It’s about having control over how you spend your money.